When you commit a crime, you have to expect that the police are going to do whatever they have to do in the process of bringing you to justice. But for a German criminal who tried to rob a gas station in Moenchengladbach, he didn’t factor in the concept of them shooting his testicle clean off. 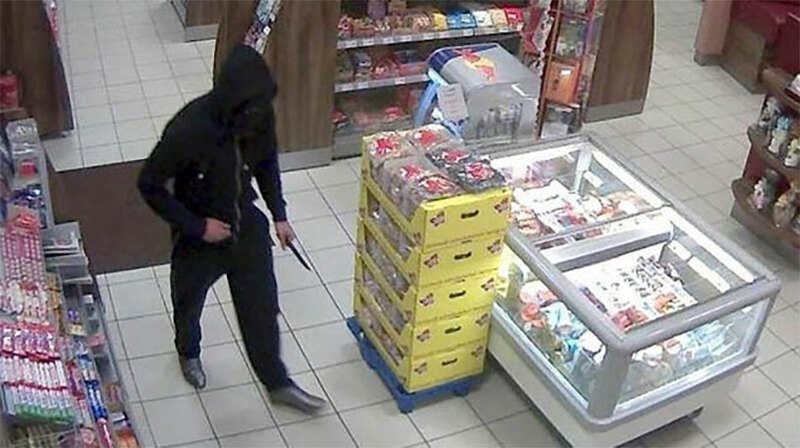 The robber was clad in black tactical gear and armed with a knife, so he was obviously displaying an intention to use deadly force if necessary. He had already robbed the Shell station successfully once before, but when he went back for a second go, law enforcement was ready for him. An employee spotted the crook’s signature silver shoes and alerted the police, who hid in a back room of the station. When the robber accosted the clerk, the officer jumped out of hiding and tried to subdue him. The criminal fought back, and in the struggle ended up taking two rubber bullets to the groin. Rubber bullets are often used by police as a non-lethal deterrent, but even though they’re not typically fatal they can cause a significant amount of damage. The robber made a getaway in a car driven by an accomplice, but it wasn’t long before he had to check into a hospital to have his shredded testicle examined. Obviously, the hospital staff informed police that he was there and the man was placed under arrest for the two robberies. But here’s where things get weird. Apparently in Germany you can sue the cops for injuries incurred in your arrest, even if you were brandishing a weapon. So the dude is filing suit against the North Rhine Westphalia police department – despite being just released from jail and suspected of three more robberies. Quite a system you’ve got there, guys. The Daily Star has the scoop on the criminal’s lawsuit.